Welcome to the Website of Lancashire Freemasons who are members in the Order of Knight Templar Masonry in Lancashire, called the ‘Priory of Lancashire’. The Priory (or Province) is based on the original old County of Lancaster boundaries and covers the Craft Provinces of East Lancashire; West Lancashire and Cumberland and Westmorland. There are a total of 32 Preceptories (similar to a Lodge or Chapter) 29 of which also contain a Priory of Knights of Malta, and a membership of 935 members. The Order is governed by the ‘Great Priory’ based in Mark Master Masons Hall, London under the command of the Most Eminent and Supreme Grand Master Paul Raymond Clement G.C.T. The qualifications required to become a member are, that a Candidate must be a Master Mason; a Royal Arch Companion, and confess the Christian Faith with a belief in the Holy Trinity. To become a Knight of Malta, a Brother must first be a Knight Templar. 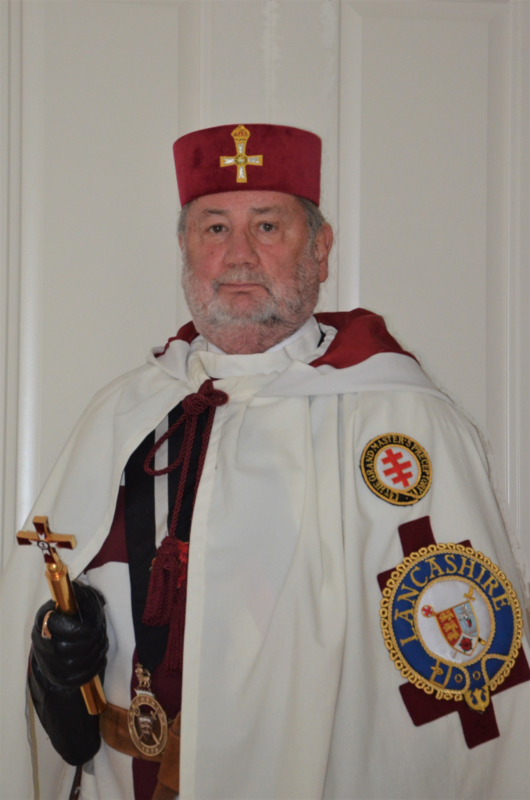 Each Preceptory comprises both a Preceptory of Knights Templar and a Priory of Knights of Malta, each being opened and closed in privacy to carry out the business required to maintain and promote the Orders. The aims of the Orders are an expansion to those of Freemasonry in general, that inspires its members to an approach to life, which seeks to reinforce thoughtfulness for others, kindness in the community, honesty in business, courtesy in society and fairness in all things. Members are urged to regard the interests of the family as paramount; but importantly Freemasonry also teaches and practises concern for people, care for the less fortunate and help for those in need. Donations to local and national charities are made by the Preceptories individually. Additionally funds are raised to assist the St John of Jerusalem Eye Hospital in Jerusalem, which are administered through the Province to a central fund at Great Priory. The St John of Jerusalem Eye Hospital Group is a Foundation of The Order of St John, the oldest charity in the world. The Hospital Group is the main provider of eye care in the West Bank, Gaza and East Jerusalem. In 2017, the hospital treated 135,600 patients – a high percentage under the age of 18. Patients are treated regardless of race, religion or the ability to pay. Right Eminent Knight David H. Gallear K. C. T.
Sub Prior of Lancashire E. Kt. Maples Preceptory No. 428 Monday March 11th. 2019. Installation of R. E. Kt. Thomas Firth Jackson as Eminent Preceptor. Plains of Tabor Priory Meeting 7th March 2019. Provincial 1st. Constable E. KT. Robert Sanderson in attendance. Some areas of the site need you to be logged in to view the content. If you do not have a login, please contact Provincial Webmaster.